The best ideas come from children, and at the heart of World Read Aloud Day is a young boy's wish for a special holiday to celebrate how good it feels to read aloud. If we are lucky, the very mention of reading aloud strikes a resonant chord that brings to life memories of cozy nights spent with parents or grandparents before bedtime, huddled around a story. Or the lilt of a favorite teacher’s voice as she folded back the pages of a worn and treasured copy of “Charlotte’s Web” to carry on the adventures of Fern. The impact and transforming power of stories shared aloud should not only belong to some lucky ones. Still, many millions of children exist outside the “reading club,” because of socioeconomics or a long-held belief that a reader is not something they can become. World Read Aloud Day, created by LitWorld and proudly sponsored by Scholastic, is an invitation and joyful entry point that allows us to champion the strengths that reading brings out in every child, and is a wonderfully measurable and impactful way to cultivate lifelong readers. On February 24, over one million people from more than 100 countries read aloud at home, school and in the workplace. Simple acts of reading kindness exchanged between classmates, family members and colleagues on World Read Aloud Day lead to positive social change in the world. Research from the most recent Kids and Family Reading Report from Scholastic shows that one of the top predictors of students becoming strong, voracious readers is how often they hear a read aloud. Reading aloud to children every day puts them academically a year ahead of children who are not read aloud to, and that is regardless of any socioeconomic differences between children. The innovation behind World Read Aloud Day is that it combines an activity that is inherently joyful and beloved by all ages and builds an immediate reading community where children feel they belong and can cultivate and strengthen their identity as a reader. LitWorld is calling on all people to become a "WRADvocate" (World Read Aloud Day advocate) by sharing World Read Aloud Day with friends, family and colleagues on social media and through in-person conversations. Join the 7 Strengths Countdown to World Read Aloud Day to call attention to the empowering and resilience-building effects that reading has on a child's life. Add your voice to the World Read Aloud Day movement by joining the conversation framed around Belonging, Curiosity, Friendship, Kindness, Confidence, Courage, and Hope. Visit the LitWorld website to register your participation, to schedule a virtual read aloud connection with another classroom or author, and to download classroom and community activity kits that contain storytelling activities, read aloud discussion guides and writing activities that will connect children’s own stories and voices to the World Read Aloud Day movement. 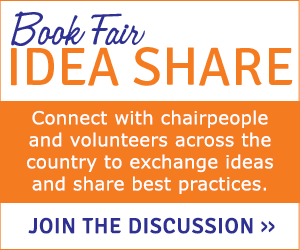 The Scholastic Book Fairs World Read Aloud Day kit is a wonderful guide for planning an event centered on family and parent engagement. LitWorld and Scholastic are mobilizing people of all ages around the world to make World Read Aloud Day a time to revive, recommit and revitalize daily read aloud routines. May the joy we experience linking voices and stories together on February 24th compel us to read aloud with the children of all ages in our lives 365 days a year. Pam Allyn is the author of many books for educators and families, including her latest, co-authored with Ernest Morrell, Every Child a Super Reader: 7 Strengths to Open a World of Possible. As Founding Director of LitWorld and LitLife, she spearheads global advocacy for children as readers.